One of the keys to managing to stay on top of your budget is to simplify your budget. Before you look into how to simplify it, make sure you are on track financially. This may mean that you should get a loan from Car Title Loans Woodland CA to boost your finances so you can start from a good point. By simplifying your budget you will be able to more easily see that you are sticking to your plan and can easily update it whenever necessary. There are many ways that you can simplify your budget, but here we will look at three. Instead of trying to budget on a piece of paper which can get confusing as your update it, put your budget information onto a spreadsheet or use an online program or app designed for a budget. This makes it simple to order information, categorize your spending and change any information you need to. You can easily make sure that your budget fits into the categories you want them to and can move items around or delete items as necessary. Work with the 60 Percent Solution which states that 60 percent should go to your monthly expenses, 10 percent towards your retirement, 10 percent into debt reduction or long term savings, 10 percent into short term savings for maintenance, gifts or unexpected expenses and 10 percent for entertainment. While it is a good idea to divide your budget into categories so you can easily keep track of everything and make sure that all your spending fits where it should for a secure and healthy budget, it is a good idea to keep these categories simple. Categories with multiple sub-categories can actually just get confusing. It also makes keeping on top of your budget much more time consuming and stressful. Sometimes, more is less and this is one of these cases. Making your savings part of your budget will help you make sure that you actually save what you plan to. Having the money go into your account and then need to manually be shifted into your savings account, provides too much opportunity for it to be spent before it is saved. 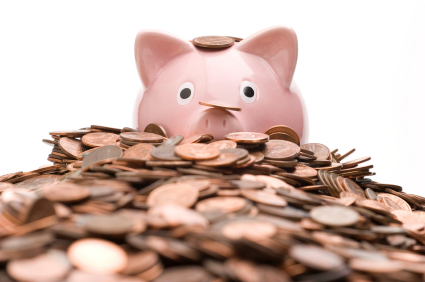 If your savings are automatically debited you can factor them into your budget for simplicity.